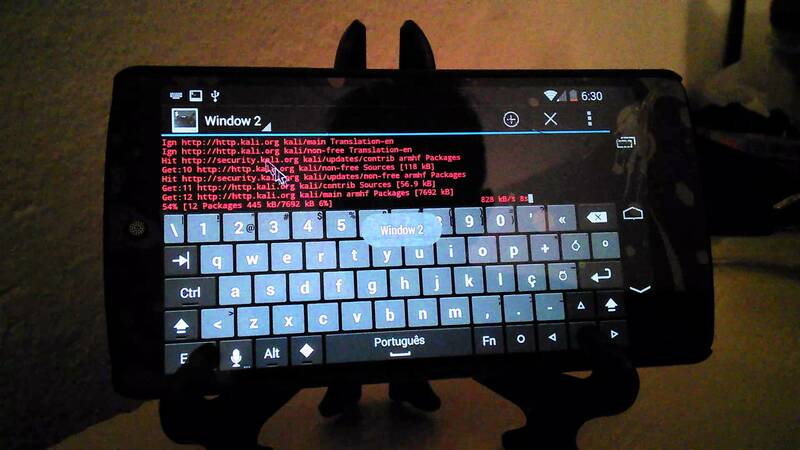 We have an amazing tutorial about how to install Kali NetHunter On Any Android Device. Before we move further, I have to warn you about if anything happened to your device i’m not responsible for that. The Kali Linux NetHunter project is the first Open Source Android penetration testing platform for Nexus devices, created as a joint effort between the Kali community member “BinkyBear” and Offensive Security. NetHunter supports Wireless 802.11 frame injection, one-click MANA Evil Access Point setups, HID keyboard (Teensy like attacks), as well as BadUSB MITM attacks – and is built upon the sturdy shoulders of the Kali Linux distribution and toolsets. Whether you have a Nexus 5, Nexus 6, Nexus 7, Nexus 9, Nexus 10 or OnePlus One we’ve got you covered. Our freely downloadable images come with easy to follow installation and setup instructions to get you up and running in no time at all. These devices are the best compatible with Kali NetHunter. To root android phones and flash custom ROMs, unlocking its bootloader is needed for most of the devices. Some devices comes with unlockable bootloader while others are not. However, most of these devices are unlockable either by official methods or via some unofficial ways. Unlocking bootloader results in data loss, so make sure you backup anything that is important. You can follow this tutorial for unlocking the bootloader of your device. TWRP stands for ‘Team Win Recovery Project’ is an open-source custom recovery for Android. It allows you to install third-party firmware and backup the current system, which is often unsupported by stock recovery images. Follow this guide to install TWRP on your device. How to Install TWRP in any Device. Or here is a detailed tutorial for that. Here is the list of devices supported officially https://github.com/offensive-security/kali-nethunter/wiki. If your device is on this list, you are lucky. Click the respective links for the detailed instructions in XDA forums. I have been working as a freelancer CMS Developer for most of my career for many employers and companies worldwide. I have completed many large scale projects in the areas of CMS, Computer Graphics and Computer Security for many employers and companies. I have also worked as a Database Admin..
TheHackToday.com is a News Platform that centers on InfoSec, Cyber Crime, Privacy, Surveillance and Hacking News with full-scale reviews on Social Media Platforms & Technology trends. Founded in 2015.